Driving through the rolling, snow-lined hills of Highway 33, I begin each morning with thoughts of my sleepy family readying themselves for another day of work and school. Have the girls packed their reading charts and gym shoes? Were the snow boots put out to dry by the fire last night? I drive through the crisp, dark dawn thinking about my family and my workday. My sixty-five-mile commute “out below” has been an adjustment for our family. 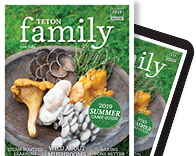 I started working in Idaho Falls a year and a half ago and swiftly learned that in order to cut out some of the stress and chaos, we needed a plan—a plan for healthy and easy meals. Having prepped and cooked meals readily available would reduce the after-work juggling for my husband, Todd, and it would also benefit me: by preparing meals ahead of time with my family, I would feel more connected even though I was an hour away. So on weekends, we work as a team to ready meals for the week ahead, keeping in mind any particularly crazy days that will impact our schedule. We discuss what meals can be used as leftovers, for lunches, or repurposed later in the week. For example, a roast in the slow cooker can be used for lunch sandwiches or a sizzling stir-fry served over rice. Using leftovers is a great way to reduce wasted food and cut down on the planning and prep later in the week. Working together as a family also teaches our girls the importance of teamwork and thoughtful eating. Learning about kitchen tool safety is a bonus, too. Keep in mind: Sometimes weeks fall apart, we get busy, we are tired, and we forget to plan. Don’t fret, there’s always frozen pizza! In our case, you’ll see me spinning through the drive-through on the way home. There is no shame in the occasional convenience meal. On the next few pages are some of our easy and delicious go-to meals. 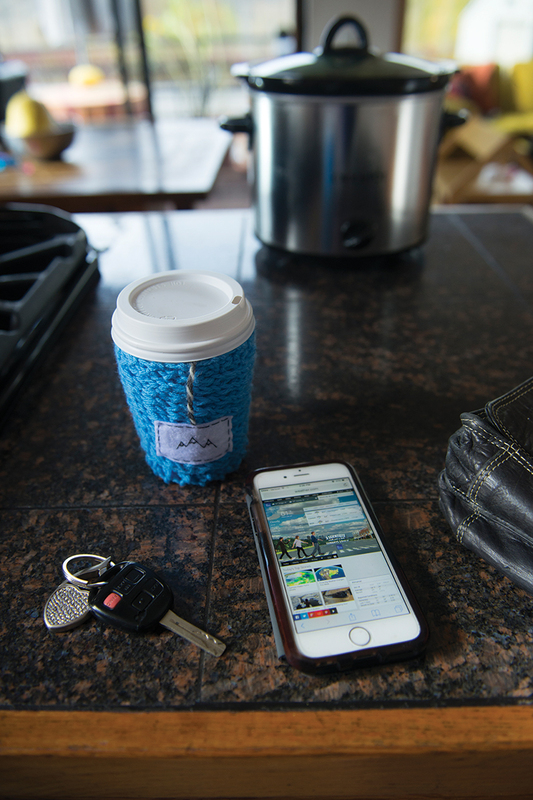 Breakfast can be a stressful time when combined with the tasks of checking schoolwork, selecting winter clothes and show-and-tell items, and coaxing a sleepy four- and six-year-old to brush their hair and put on matching socks. And since I’m usually on the road before my family wakes, having a yummy breakfast option is one less worry. 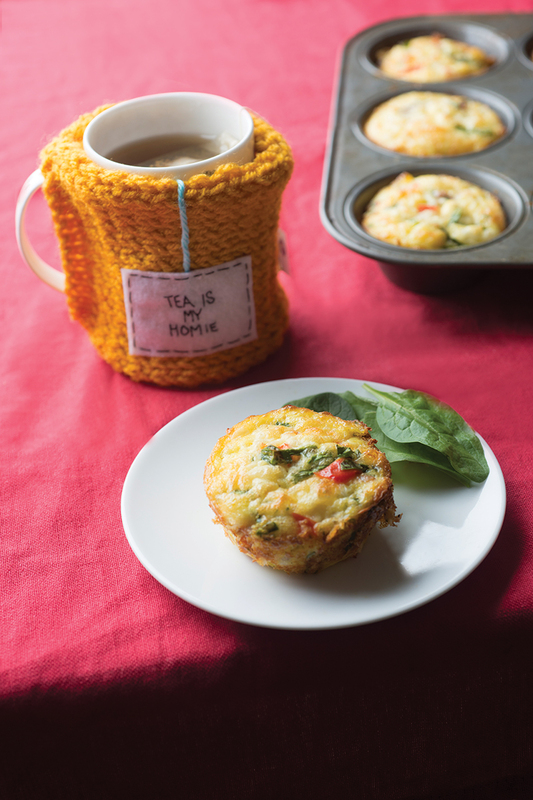 These “muffins” are full of protein and easy to reheat. Pop them in the toaster oven or pack along for a midmorning work breakfast. 2. Brown and drain the meat. 3. Beat eggs in a bowl. 4. Chop onion, spinach, and peppers. 5. Shred and crumble cheese. 6. Mix eggs, veggies, cheese, and meat together in a bowl. Season with salt and pepper. 7. Pour ingredients into a lightly greased muffin pan (2/3rds full). Make sure to evenly distribute the meat, veggies, and cheese as you fill the muffin pans. 8. Bake for 30 minutes. Use a toothpick to test doneness. 9. Serve warm. Can be refrigerated and frozen for later use. * Note: we often double or quadruple this recipe and freeze individual muffins. There are so many options for easy, healthy dinners. But in the winter months, my family leans toward warm comfort food. 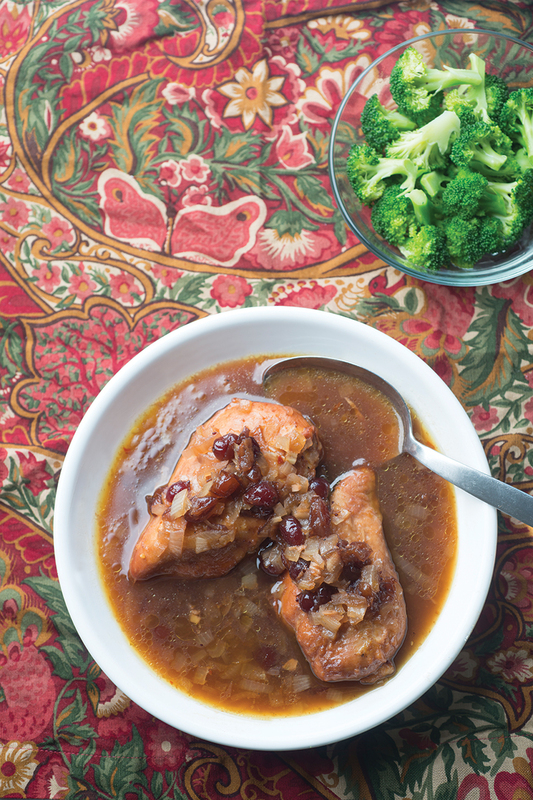 A slow cooker helps create a delicious, hot, and table-ready supper. And remember, slow cookers aren’t just used for main courses—they can also be used to warm sides like potatoes and squash. 1. Chop onion and garlic. 2. Place all ingredients into slow cooker. 3. Cook on low for 4 to 6 hours until chicken is thoroughly cooked. * Note: in a separate slow cooker (or on the stove) cook brown rice or quinoa to serve with the chicken. And don’t forget a fresh veggie! 3. 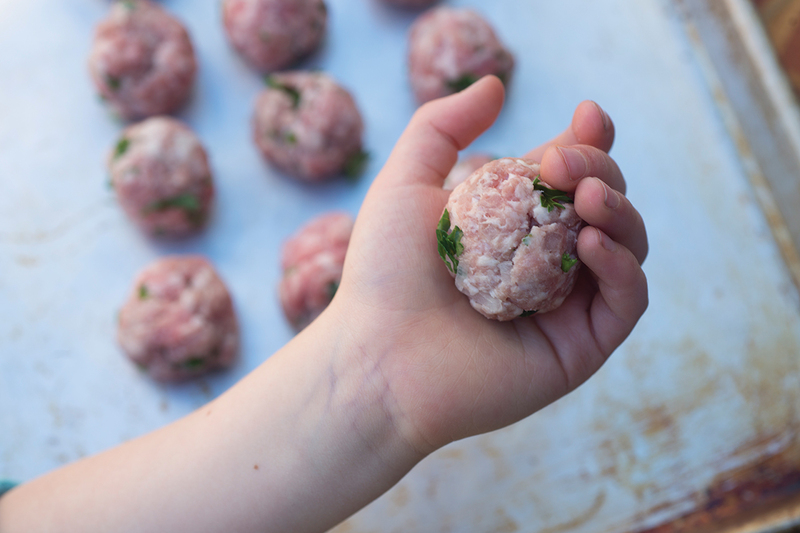 Roll into small balls and place on a cookie sheet. 1. Cut spaghetti squash in half crosswise. Place in the bottom of a 6-quart slow cooker with cut side down. 2. Combine tomatoes, tomato sauce, salt, garlic powder, pepper, and oregano. Puree in a food processor or blender. Pour into bottom of slow cooker. 3. Place meatballs over tomatoes and around spaghetti squash. Cook on low for 6 to 7 hours or on high for 3 to 4 hours. 4. Remove squash from slow cooker (take care, it’s hot). Scoop out seeds and discard. Scoop flesh into a colander and let drain to reduce moisture. 5. Serve squash topped with tomato sauce and meatballs.